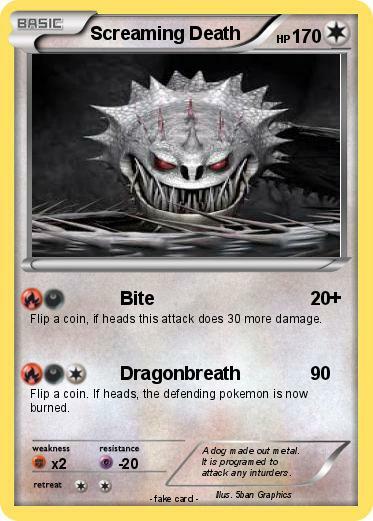 Flip a coin, if heads this attack does 30 more damage. Comments : A dog made out metal. It is programed to attack any inturders.